Do you remain a word of mouth marketing skeptic? You might want to rethink that position. The benefits of word of mouth marketing are legion, says word of mouth marketing expert Neil Kokemuller. Namely: it’s really, really cheap. Free, even. But word-of-mouth marketing isn’t a total walk in the park. These six tips will keep your word-of-mouth marketing efforts on track and ensure that you don’t spend needlessly on user acquisition. Don’t skimp on free trial features. Give your users a full sampling of what they can expect from a paid subscription. They’ll be more likely to convert after the trial ends, and more likely to rave about their experience to friends and colleagues too. Attracting online reviews is very nearly an art form. Organic reviews — those posted “naturally” by enthusiastic users — are generally regarded as superior to syndicated reviews, which require payment or some other in-kind contribution. Whole books have been written on the subject, but one low-cost way to dramatically increase online review response rates is simply to ask. Top vectors include thank you emails and, if you sell physical products, handwritten notes with your shipments. Double down on your social media presence with frequent, engaging posts and genuine interactions with followers. The more you talk to your users and prospects, the louder the conversation around your product or service will be — and the more likely early adopters will be to carry on that conversation in your absence. Don’t give away too much — just enough, and with just enough frequency, to keep users and prospects interested. If you publicize it well, people will talk amongst themselves about your giveaway. Does your company have a compelling or unusual story? Then share it! People are far more willing to patronize organizations with which they identify. Even if you don’t think your origin story is particularly interesting, test it with a few disinterested folks (for instance, business advisors). If all else fails, publicize your values. Patagonia is a great example of a values-driven company that’s harnessed the power of positive word of mouth. Cheeky videos? Heartfelt testimonials? Selfies of your product in far-flung locations? 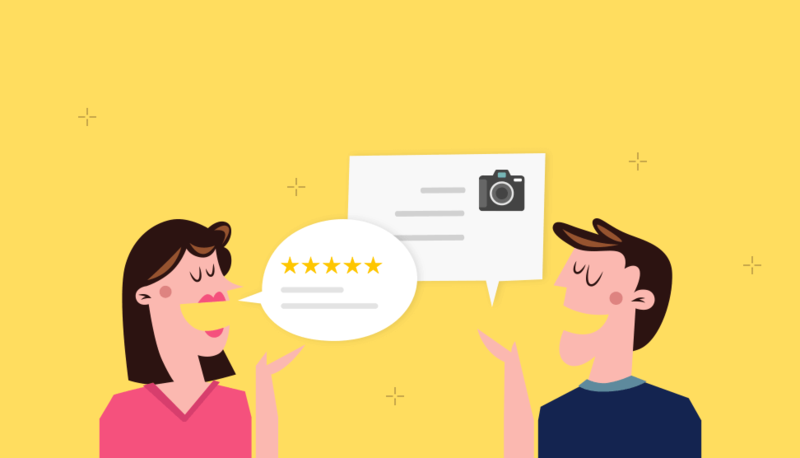 Whatever form it takes, user-generated content is a powerful word-of-mouth marketing aid. Make it clear to users that you’d like to see more of it, using contests or freebies to sweeten the deal if necessary. Your user acquisition campaign can’t subsist on word-of-mouth marketing alone, of course. Word of mouth is just one piece of a broader marketing plan that might include paid ads in traditional media, social media, search, and other channels. As the old saying goes, you do have to spend money to make money. Just try to spend as little as possible.